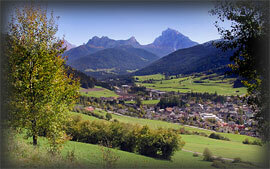 Our cattery lies in the heard of the South Tyrolean Dolomites in the north of Italy. Here in the country side is the home of the WildBengals. We understand ourselves as a little hobby breeding, which takes the breeding very serious and puts special value on line breeding. The well being of our animals is dear to our heart and for this reason our cats can move around the house without restrictions and in sunny weather enjoy terrace and garden. Cats and kittens grow up with lots of care and affection in a stress free environment amongst us. Our kittens enjoy not only the good nursery of their mothers but also domestic tomcat Findus, dog and dwarf rabbits contribute to their good socialization.